Today the Obama Administration announced that Part B cost-sharing will be less than projected for all beneficiaries in 2012. The Part B deductible will decrease by $22 in 2012, from $162 per year in 2011 to $140 in 2012. Further, monthly Part B premiums will increase only slightly for those beneficiaries who have not had an increase in the last two years. Because there will be a cost-of-living increase for Social Security recipients in 2012, the Part B premium will increase, but only by $3.50 – from $96.40 in 2011 to $99.90 in 2012. For those individuals who did have Part B premium increases in 2010 and 2011, the premium will actually decrease by $15.10 in 2012, from $115 to $99.90. The Part B premium reductions are a result of slower Part B growth due in part to health care reform. 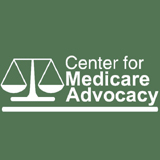 The Affordable Care Act’s lower payment rates, reduced payments to private Medicare plans, and increased efforts to fight fraud and abuse are major factors contributing to this good news for Medicare, beneficiaries, and taxpayers. At the same time, health care reform has increased the value of Medicare – reducing beneficiary costs for prescription drugs, adding preventive care coverage, and eliminating cost-sharing for most preventive services. In 2010 and 2011, most beneficiaries were “held harmless” from the Part B premium increase because they did not have an increase in their Social Security.